Ed Chapman's new portrait of Ziggy Stardust is on sale at The George Thornton Gallery, Nottingham. 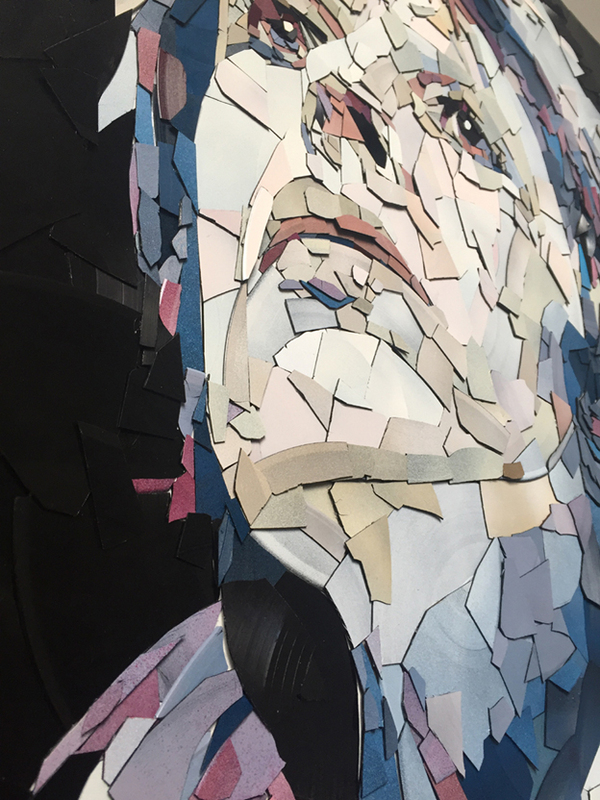 The mosaic work which is 105x70cm is made entirely from smashed up vinyl records and is part of the series of such art works Ed is producing of musicians. 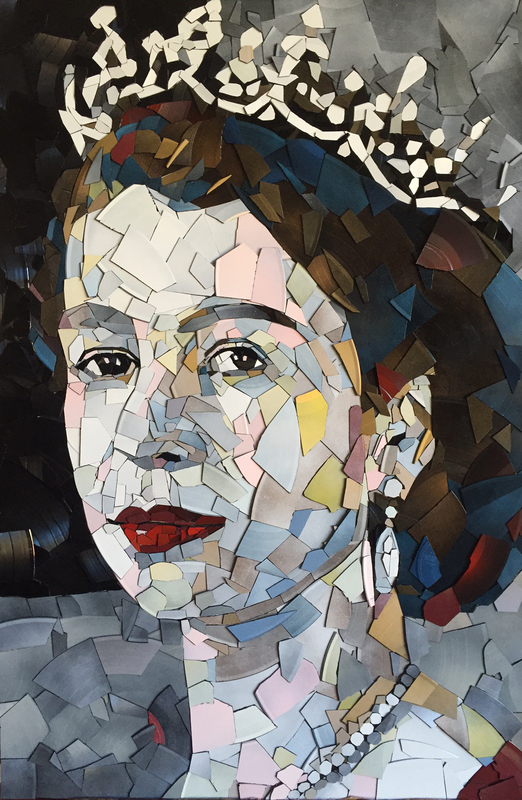 Welcome to the official website of Ed Chapman - one of the UK’s finest contemporary artists, specialising in mosaics art and mosaic portraits. He has created numerous pieces of art from a range of materials from ceramic tile, guitar plectrums, sugar, glass and coins. A leading mosaic artist, Ed has an instantly recognisable style. 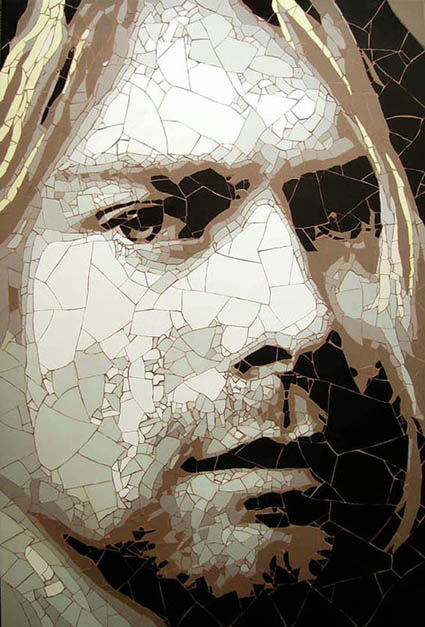 His mosaic pieces are exhibited around the world and grace the homes of the rich and famous. 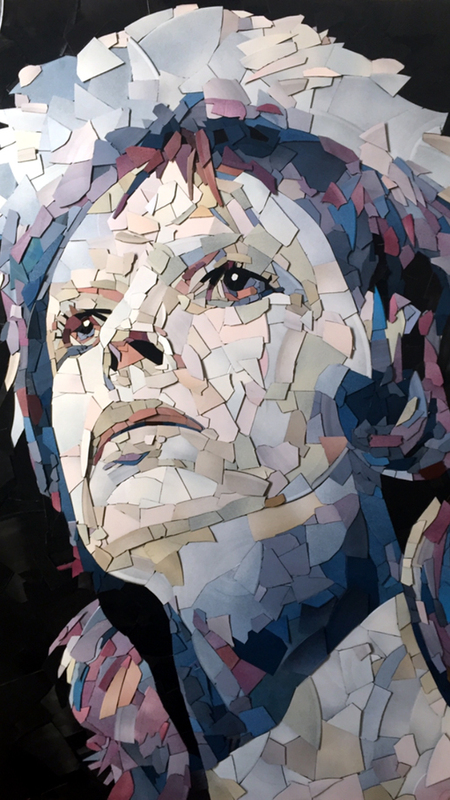 Portraits in ceramic tiles take hours of painstaking effort to create and are constructed from hundreds of mosaic fragments, some no bigger than a couple of millimetres. Each mosaic piece is carefully hand-cut and placed, resulting in an impeccable finish. 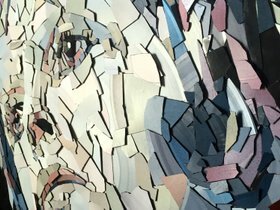 Subjects of the mosaic portraits range from film and music legends to specially commissioned portraits of families, animals and world leaders. 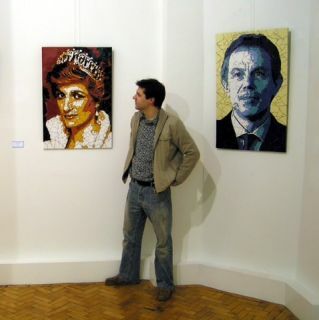 Ed Chapman's mosaic work is bought by private clients and corporations and his iconic mosaic portraits have featured on TV and in magazines in the UK and around the world. 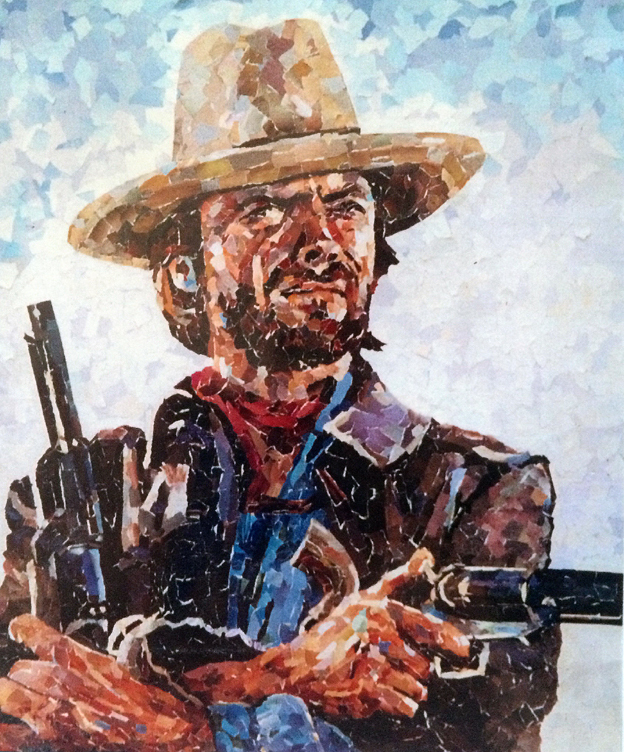 His mosaic art has a number of high profile collectors including well known musicians, sports stars and TV personalities and his mosaic art has received widespread media coverage across Europe and North America. Prices are available on request. Please get in touch about your mosaic commission requirements as Ed can create personal mosaic portraits from life or photographs.